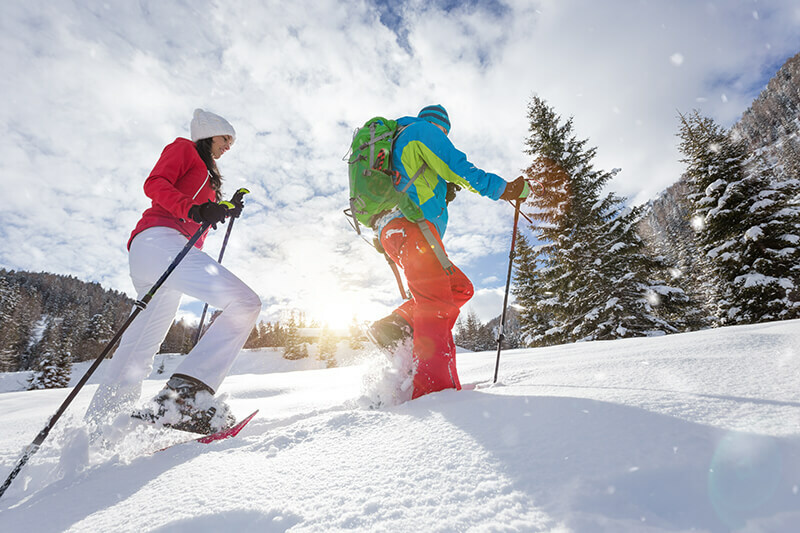 Snowshoeing is a great, family-friendly way to get outside and enjoy the winter. With so many beautiful trails near Lone Tree, Heritage Hills residents have plenty of options in the nearby and Front Range area when choosing new places to get out and explore. Check out some of our favorites—they are great for beginners. Golden Gate Canyon State Park is a local gem, located between the foothills and the Rocky Mountains. It has 12 trails covering more than 35 miles, each with stunning views, gentle slopes, and well-marked paths. These paths often intersect, allowing you to customize your snowshoeing experience, and they pass through settlement cabins that are a key part of Colorado’s history. Enjoy the stunning red rocks at Roxborough State Park. Many of the hiking trails are perfect for snowshoeing this time of year, and all enjoy views of the area’s incredible red rock formations. Staunton State Park offers a wide variety of trails and pathways for the family to explore. These include lake views, access to many park amenities, and the chance to see winter wildlife. Any Colorado snowshoeing list would be incomplete without a nod to the state’s treasure, Rocky Mountain National Park. Just an hour’s drive from Denver, this majestic area offers world-famous snowshoeing and hiking trails. If you want to try out this awesome winter sport before committing to a trail, check out your local rec center or outfitter. In winter, many of these organizations offer lessons complete with gear rentals and important tips and tricks. Remember, too, that your favorite hiking trail can often double as a great snowshoeing opportunity! Heritage Hills residents enjoy convenient access to some of the area’s best trails for snowshoeing this time of year. Check out these easy hikes near Denver for more winter activity ideas.